October 2, 2018, Myrtle Beach, S.C. — Fall is officially here, but that doesn’t mean it’s time to put away the golf clubs until next season. Fall in Myrtle Beach is one of the best times of the year to enjoy great weather and golf courses in peak condition. Myrtle Beach Golf Trips, the Grand Strand’s largest golf vacation provider, is thankful that Myrtle Beach area golf courses weathered the impacts of Hurricane Florence well overall and are ready to welcome fall golfers. Whether booking a fall golf trip with friends or looking to squeeze in a round of golf during a fall Myrtle Beach family vacation, Myrtle Beach Golf Trips has the ideal golfing package to meet every golfer’s needs. Myrtle Beach Golf Trips provides world-class golfing experiences at a very affordable rate, with fall specials beginning at just $35 per player. 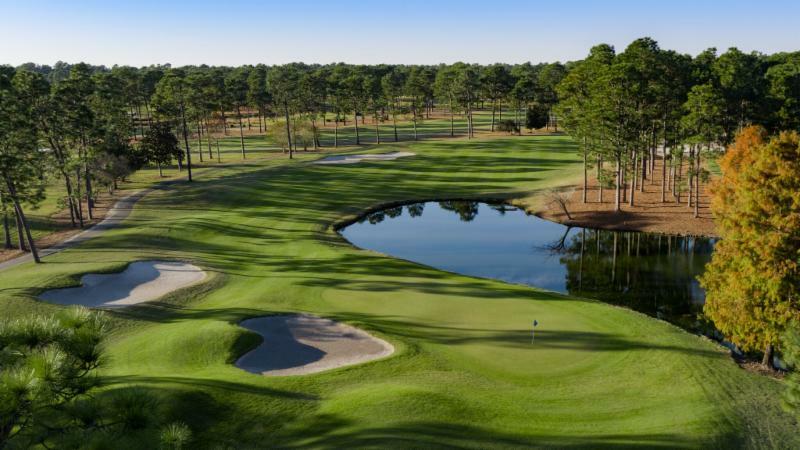 Myrtle Beach, “the golf capital of the U.S.A.,” is home to over 100 golf courses, including designs from golf’s greats like Jack Nicklaus, Arnold Palmer, and Gary Player. From single-digit handicaps to those looking to play the game for the first time, Myrtle Beach Golf Trips has the perfect-curated golf experience for golfers of every age, gender and skill level. For the latest golf course status updates and to book the perfect fall getaway, visit MyrtleBeachGolfTrips.com. The area’s premier resource for tee time bookings, Myrtle Beach Golf Trips has been putting together great golf experiences for customers since 1927, by providing access to award-winning courses, multi-round tee time specials, and golf and lodging packages at the best prices. More information about Myrtle Beach Golf Trips and Founders Group International is available at www.foundersgroupinternational.com, www.mbn.com or MyrtleBeachGolfTrips.com.